For documents relating to the original tram project, airport to York Place, see this page. See also our Leith Walk and City Centre pages. 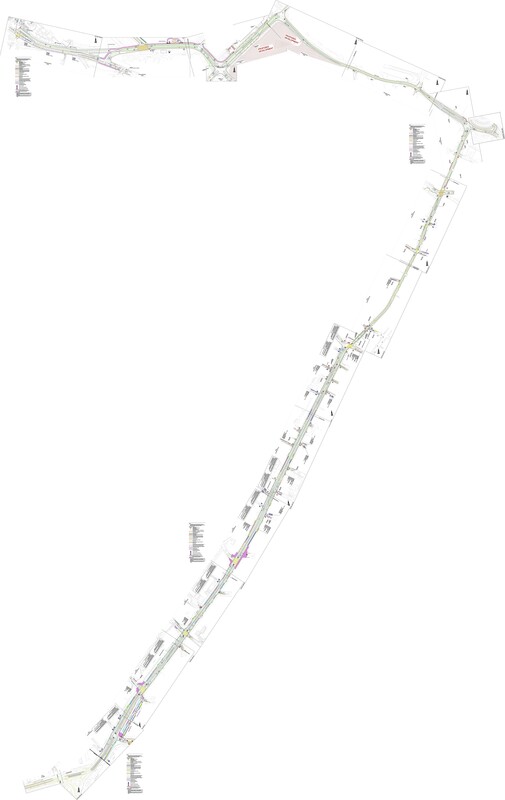 The Leith Walk page includes material from plans at the time of the Leith Project. 1809 Tram Extension second consultation [following the changes resulting from the main 1803 consultation below] Consultation page Spokes response [pdf] Our response uses the online survey questions, which were very limited, concerning only the abovementioned changes. In particular the questions had little detail between Foot of Walk and Newhaven – our comments on that remain largely as in our 1804 response below and are not repeated in this response. 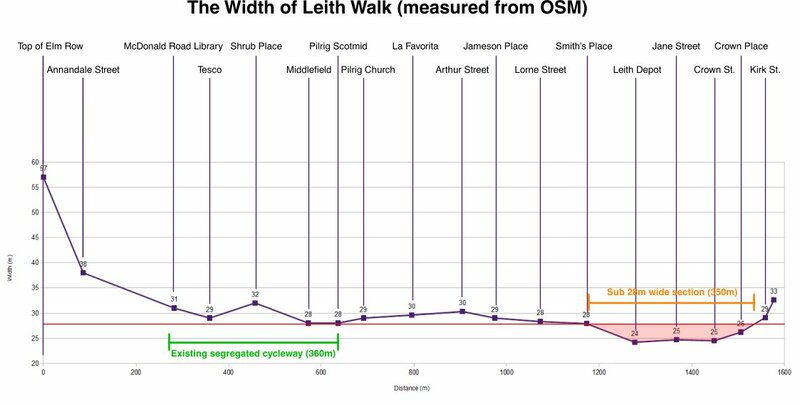 1809 Leith Walk during tramworks Consultation on support for local businesses [link]. Consultation questions (council web page disappeared? but we saved the questions). Spokes response [pdf]. 1804 Permanent Rail Consultancy response [pdf] – very good, especially on traffic reduction, though some other significant differences to our initial response. Tweet (with extract). Trams to Newhaven website with draft Traffic Orders [showing proposed road layouts], draft traffic management during the 2-3 year construction period, and much more. Combined TROs picture [jpg 5MB] showing complete layout, created by Donald Noble, @donaldrnoble. Note that in order to see the detail you may have to download the jpg then zoom in – or use this combined file to decide which of the individual TRO files above you wish to look at.